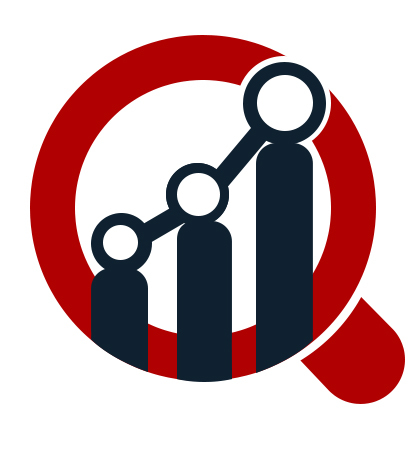 The structured cabling market is growing due to due to the rising demand of the internet connectivity. The increase in the demand of the Power over Ethernet is due the increasing demand of structured cabling that meets the need for higher bandwidth and power, while limiting the rise in temperature. In 2017, Corning Incorporated has announced that three of its innovative structured cabling products is considered to the best product for the communications in the market. The growing need of these Structured Cabling Market is due to the penetration of E-commerce, retail spaces, large warehousing and logistics, auto, hypermarkets and others optical communications products has prompted the growth of these market. The next generation networks improves network scalability and optimize the link performance. CommScope Inc. & Nexans S.A. has occupied second and third position worldwide respectively in Structured Cabling Market. CommScope offers RF connectivity products, cables, conduits, converged access products and FTTx & optical access products, grounding products, wideband Edge QAM, infrastructure management products, racks & components, cable management & routing products, workstation accessories & platforms, modular data centres, and passive optical LAN. It also gives fiber to the antenna systems, transmission line systems, structural support products, tools & accessories, antenna systems, and RF conditioning products. Nexans S.A. produces optical fiber and copper cable products used for the industrial, infrastructure, and construction businesses. The company is engaged in the procurement of cable solution. It operates in four segments: Power transmission & distribution, Transportation, Energy Resources, and Building. Power transmission & distribution division includes power cables for copper & fiber optic cables and equipment infrastructure telecom networks. Transportation division provides for rail, road, air, and water vehicles. Belden, Inc. and Legrand has occupied fourth and fifth position in the market globally. Belden, Inc., is a design, manufacturer and markets signal transmission products for applications. Their comprehensive portfolio of signal transmission products provides enterprise secure and reliable transportation of data, video, and sound for mission-critical purposes. Whereas, Legrand, is specialized in the designing, manufacturing, and distribution of products and systems used for electrical connections and data networks. The global Structured Cabling Market is growing rapidly over ~10.0% of CAGR and is expected to reach at USD 17,181.2 million by the end of forecast period. A leader in the manufacture of high quality fiber optic and copper cables, Hitachi Cable America, has released its Drybit Category 6 indoor/outdoor plenum-rated cables which offer a design appropriate for both plenum and wet places. A global leader in signal transmission solutions, Belden Inc., entices technology professionals with the help of its new industry collaborations and product solutions to support the Cisco Live 2018, a movement towards construction of smart buildings, which was held on 11th June at Orange County Convention Center in Orlando, U.S. The global structured cabling market is bifurcated on the basis of wire category, application, product type, industry and region. The wire category is segmented into category 5e, category 6, category 6a, category 7 and others. The application is segmented into specialty LAN and WAN. The product type are segmented copper, co-axil and fiber. The industry are IT & Telecommunication, BFSI, commercial, industrial, automotive and others. The region includes North America, Europe, Asia Pacific and rest of the world. In North America region, the increasing demand for cloud, co-location services and building automation are boosting the structured cabling market growth to the large extent. It is due to emergence of e-commerce which is continuously growing require the cloud services. The increasing adoption of cloud services in structural cabling in the banking, financial services and insurance, hospitality, hospitals, and education industries has driven demand of these services. The digitization, remote access, centralized control, accessibility and others are the driving factors of the structured cabling market. With the proliferation of new technologies available to homeowners, residential cabling will have to be upgraded to match these advances. The usage of advanced technologies has changed the increasing demand of structured cabling. The growing need of these cabling is fulfilling the requirement of customer’s need.